I was born in 1982, in Poland. My adventure with photography started when I was ten years old. At that time I got my first camera as my gift from father, it was simple but good camera - Villa. Perfect for kids who want to learn something about photos. Instead of aperture value I was choosing symbol of sun or clouds in viewfinder. For many years I was running with this simple camera and trying to get my best shots of butterfly, cats, trees, flowers and storks. Believe me it wasn't easy, if you don't have any zoom and no any faster shooter speed. All in all many times photos from this simple, childish camera were really good and I learned what is aperture and speed value for shots. Moreover I started my first photos in 'studio', using flash or desk lamp, I took some photos of my toys. My father passed away in 2015, he was 66 years old. I am thankful that he taught me basics of photography. Somehow I continue his hobby as he was photographer in his youth, in army and later taking photos for our family. 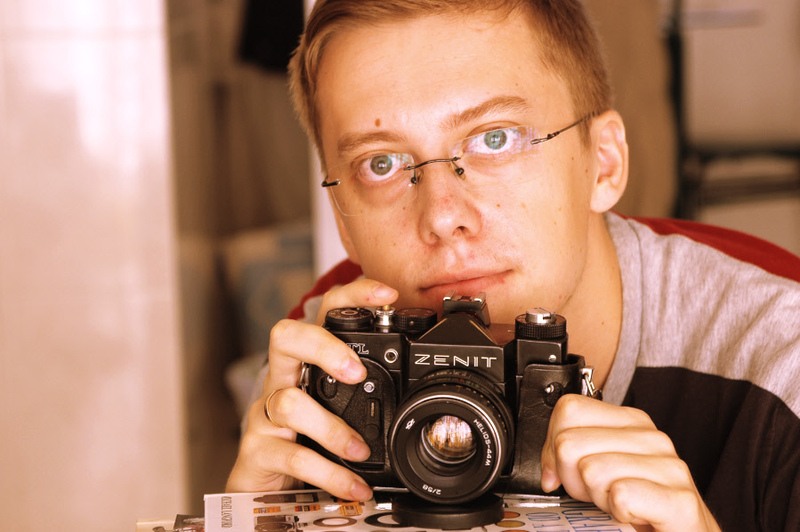 In year 1999 I decided to buy Zenit TTL which was professional equipment in my eyes. At that time many good cameras like Nikon, Canon and Minolta were popular but I just simply couldn't afford it. I saved some money and I bought finally my used Zenit TTL with Helios lens (of course without zoom). I used Zenit for long time and I improved my frames, for sure I could control more settings of camera and by this way I could change photo result. When I was taking photos by Zenit of people, my family and classmates I realized it was very good camera and lens for portraits. 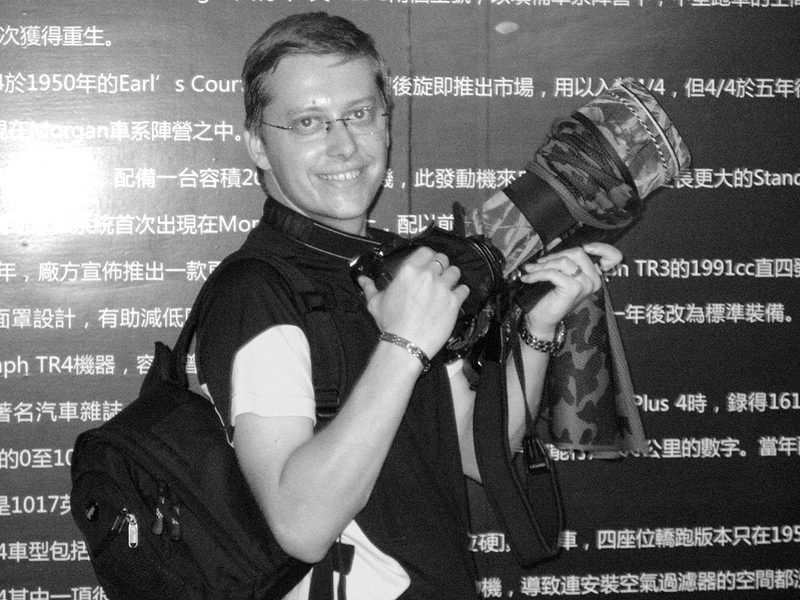 When I got my second job and had this opportunity to go to China I asked my boss to lend me money (from next salary) and let me buy some new, better camera. It was Pentax MZ30 with lens Tamron 28-80mm, I bought it in promotion. Unfortunately this brand wasn't very popular and in future I had problem to buy additional lenses. Of course boss agreed and he knew well most photos from China would be for him as I was his assistant and also photographer there. 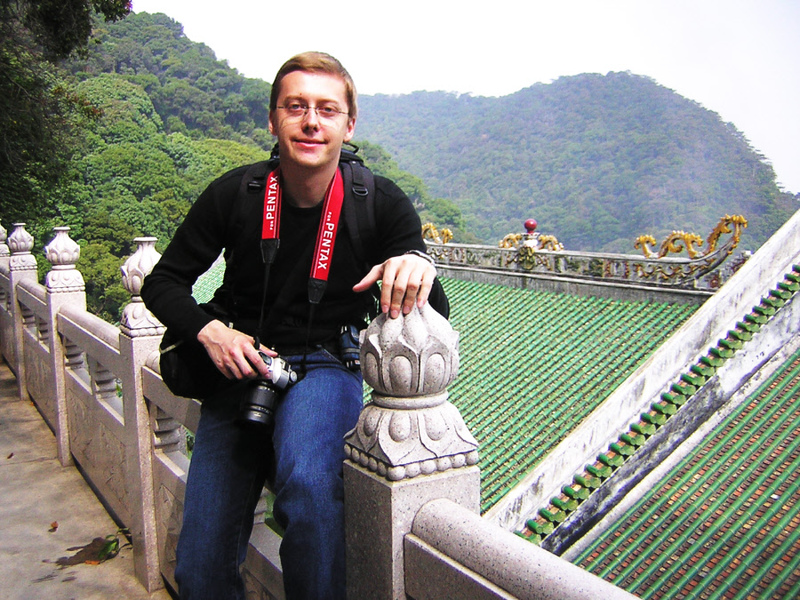 Since 2003 I lived in China. I married Chinese girl, we both enjoy taking photos. In New Year's Eve of 2006 I invested money in zoom lens for Pentax, Sigma 70-300mm. It wasn't easy to get it in Hong Kong. Few months later I wanted to buy bright lens, 50mm but it was just impossible to get it for Pentax. 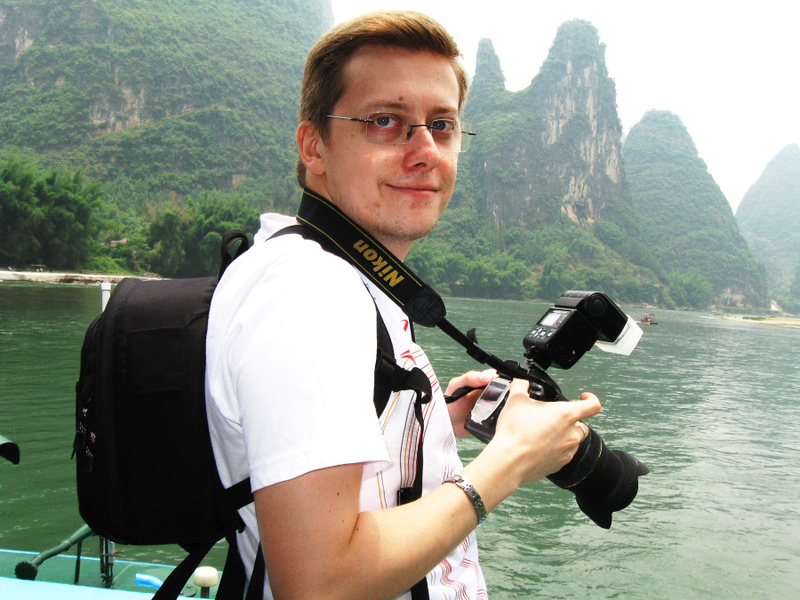 In August 2006 I decided to buy much more professional camera, Nikon D70s with good lens - Sigma 24-70mm. Some time later I arranged more accessories for Nikon like zoom lens 70-300mm, filters, tripods, remote controller. My next big step in photography was to built simple photo studio in 2008 and arrange some commercial photo sessions for models presenting underwear, shoes and bags. From 2008 to 2010 I met several models and took thousands of photos in studio. It was fun, not only taking new shots but also meeting interesting people. 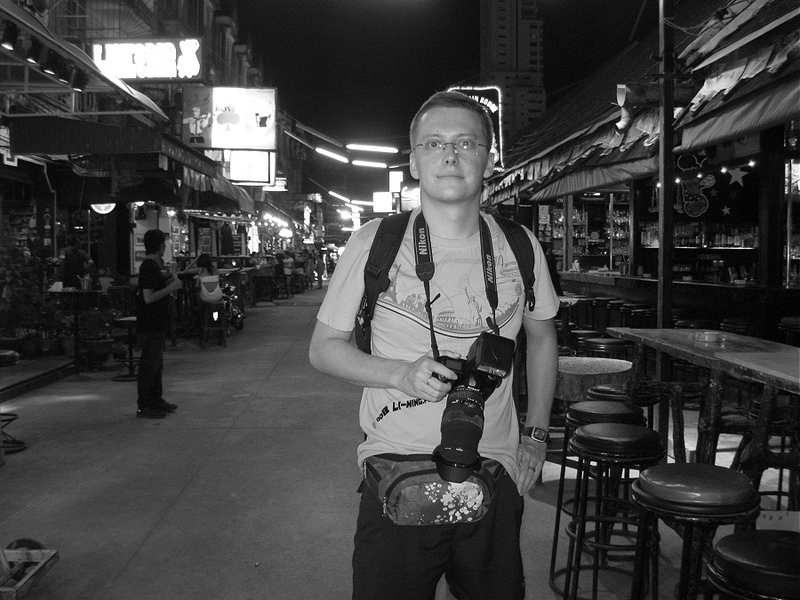 I also joined some small photo group established by Chinese and Filipino photographers in Shenzhen. Our main subject: Russian and Chinese models. It was fun to meet people with same interests. Just before marriage in 2006 I bought Nikon D70s and just before my first son was born in 2012 I decided to change camera and got Nikon D7000 with Nikkor 18-105mm lens. I bought also Nikkor 35mm which is now my favourite lens for portraits. I use it everyday to take photo of my both sons, second boy was born in 2015. Except advanced Nikon camera I also used compact camera of Minolta, Nikon and Canon. 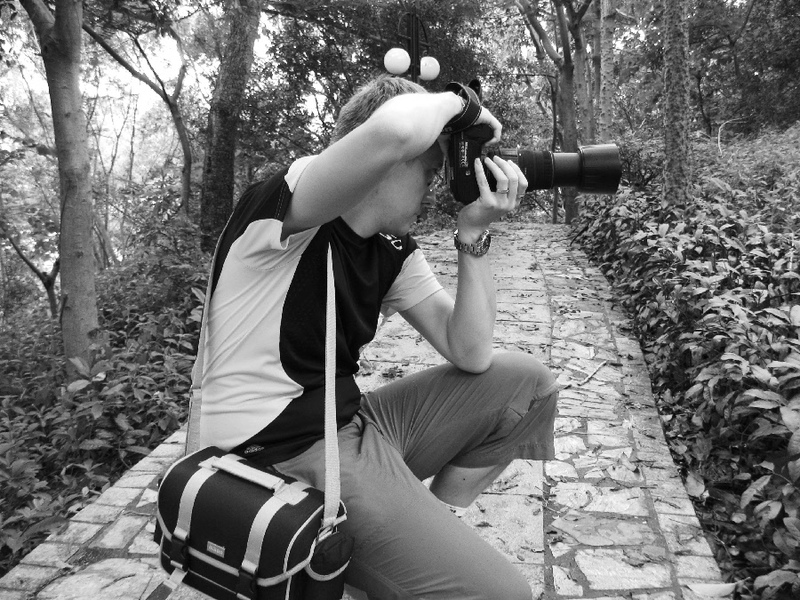 Most people travel with compact camera or just mobile to take photos. I always took my Nikon SLR, even it is more heavy and sometimes I need repack and rearrange my backpack. I appreciate quality of photos from SLR cameras, nothing can replace them. Of course good photo is not about good and expensive camera, so I still know many photos from D70s were poor but some from Zenit TTL were really great, some camera is better for landscape, another for macro but it is all about my skills. That is why everyday I am trying to improve my knowledge about photography. As you can see my photo galleries I practice with different subjects. I also learn a lot from books about photography. I catch every opportunity to take some photos of landscape in different parts of China, town and cities, also people, some models in Poland and China, nature in parks and forests, interesting architecture, documentary photos from street, events and shows etc. Some of my photos you can see on this website, hope you will enjoy it! Copyrights © 2015 Emilie. All Rights Reserved.